Collectively members of Funky Spuds have played with Levon Helm, Bob Dylan, Zigaboo Modeliste, Jazz Mafia, and The Purple Ones, to name a few. Bandleader and founder, Shane Cox, creatively expands the traditional use of tuba using harmony, beatboxing, improvisation, and more. Saxophonist and guitarist Paul Branin fronts the band adding unique jazz and rock elements.. Feelin' it ! Come on Now.. com'n get it! FUNKY SPUDS for 'da people every time. 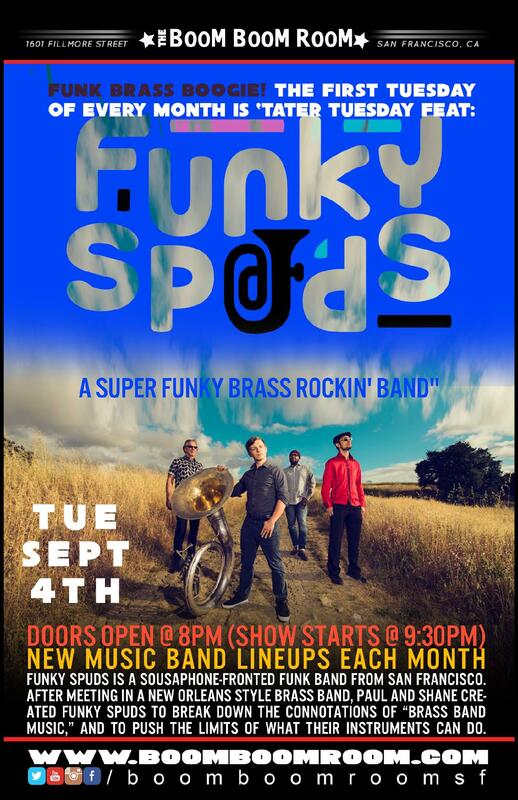 Funky Spuds is a sousaphone-fronted funk band from San Francisco. 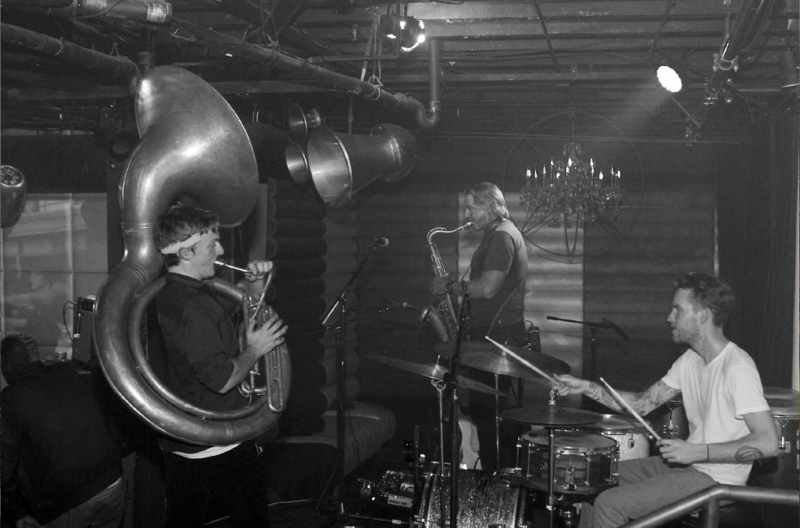 After meeting in a New Orleans style brass band, Paul and Shane created Funky Spuds to break down the connotations of “brass band music,” and to push the limits of what their instruments can do. The blasting sounds of the sousaphone (played by Shane Cox) cover funky bass lines from Motown to James Brown. The unique dual talented Paul Branin musically leads the band as a veteran of the bay area. He wails on the saxophone, displaying influence from Michael Brecker and John Coltrane, until he picks up the guitar and dives right into the psychedelic sounds of Hendrix.